Hold on to “Deer Life”! It won’t burn you… the fire is insulated 😉 This one is ideal for the hunter, if that’s you or someone in your family/friends. 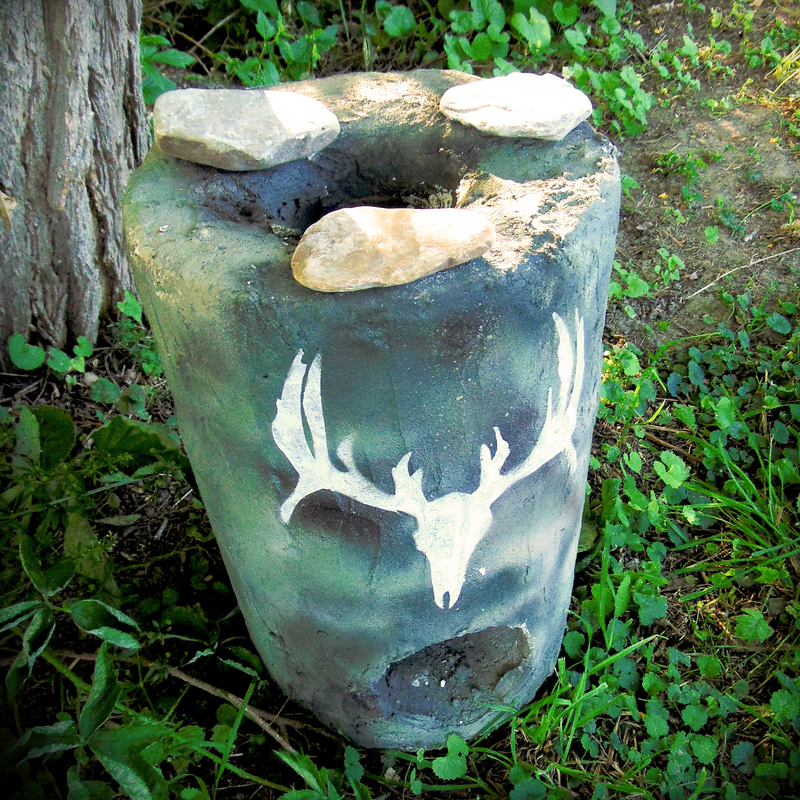 This is a basic model that gets a coat of crack resistant thin-set mortar and camouflage paint, complete with a white deer scull & antlers painted on front. This was artfully created by Julia Dean.